Need help preventing your attacks? Try these migraine home remedies, one at a time please, and find what works best for you. Your friend has the solution for you! His girlfriend stopped drinking soda, and his sister stopped drinking coffee. His neighbor stopped [insert solution here] and they cured their migraines! Proof or anecdotal, you need to be open to hearing what works for others, and be prepared for your own response. It's important to find some migraine home remedies that you can rely on in your time of need. Migraines and finding what works for you, you being uniquely you - can be trial and error. And then some more trial and error. The things listed below are tried, tested, and proven to help reduce debilitating migraine headaches. You may already know by now that ice packs work extremely well for temporary pain relief. You may also already know how to treat a migraine with ice and heat. This is one of my favorite articles because I think this is your best chance at stopping a migraine in its tracks. But what about all the accompanying symptoms, and what about other things if ice doesn't quite work? What stops the pain? And fast! 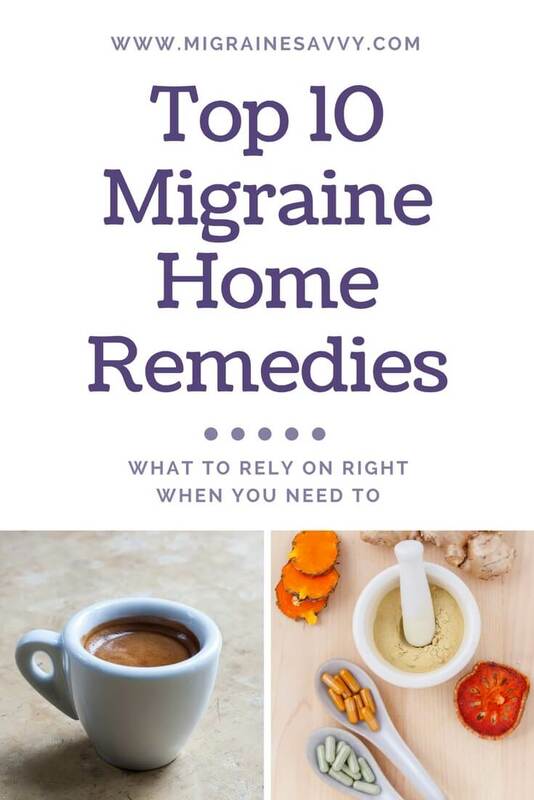 Here is the list of the top ten most validated treatments for migraine home remedies to help prevent your dreaded attacks, along with my added recommendations for pain relief you can try. I suggest keeping notes in your migraine diary so you can see as soon as possible when, and if, your patterns change. Avoid, or eliminate totally, if possible, all your known food triggers including your intolerances and sensitivities from your diet. 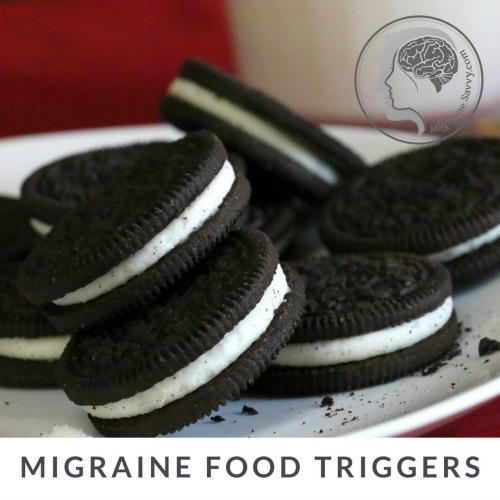 It's my understanding that you do not have to have a full blown allergic reaction for a food or substance to become a migraine trigger. It can just be a more subtle reaction that causes enough stimulation to over excite your (already over sensitive) nerves. Magnesium is the most common mineral found to be deficient in migraineurs blood. 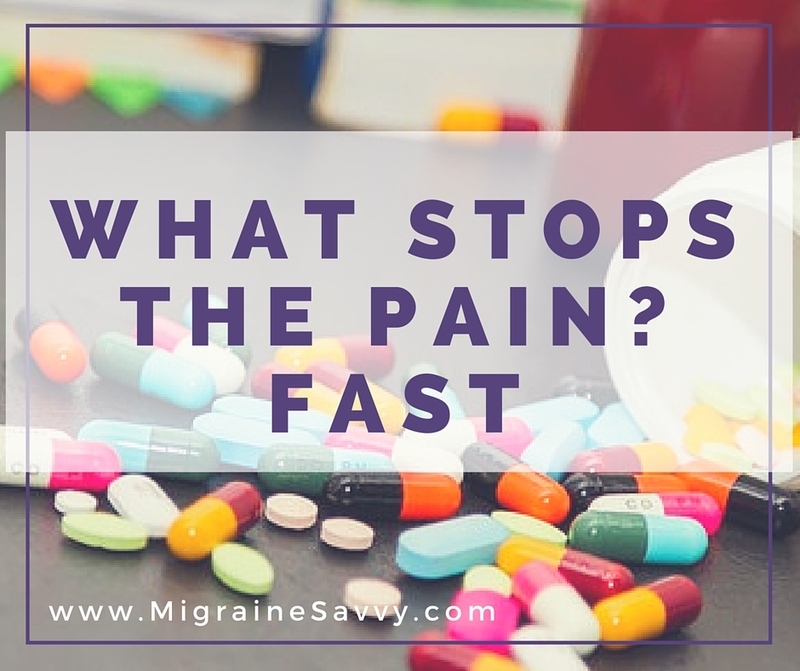 Numerous studies have now shown positive results in pain reduction and the recommended dose is 600 mgs per day or in divided doses of 300 mgs twice per day. 1000 mgs is also quite safe, but it will depend on your bowels to tell you when you have enough. Having diarrhea is the sign to watch for so you know you've reached your bowel tolerance limit. It is best not exceed your bowel tolerance limit as it will cause further problems with dehydration which is also a common migraine trigger. Don't just take any form, Magnesium glycinate is the one you want to take. Feverfew is the most widely prescribed herb for reducing migraine attacks. I have to have this in my migraine home remedies migraine prevention kit. The active ingredient in feverfew is called parthenolide which inhibits arachidonic acid and prostaglandins that are triggered in the inflammatory process involved with migraine attacks. 100 mgs four times a day is the recommended dose. But always check doses with your naturopath or doctor who knows you best. There are more details in my post on feverfew for migraines. 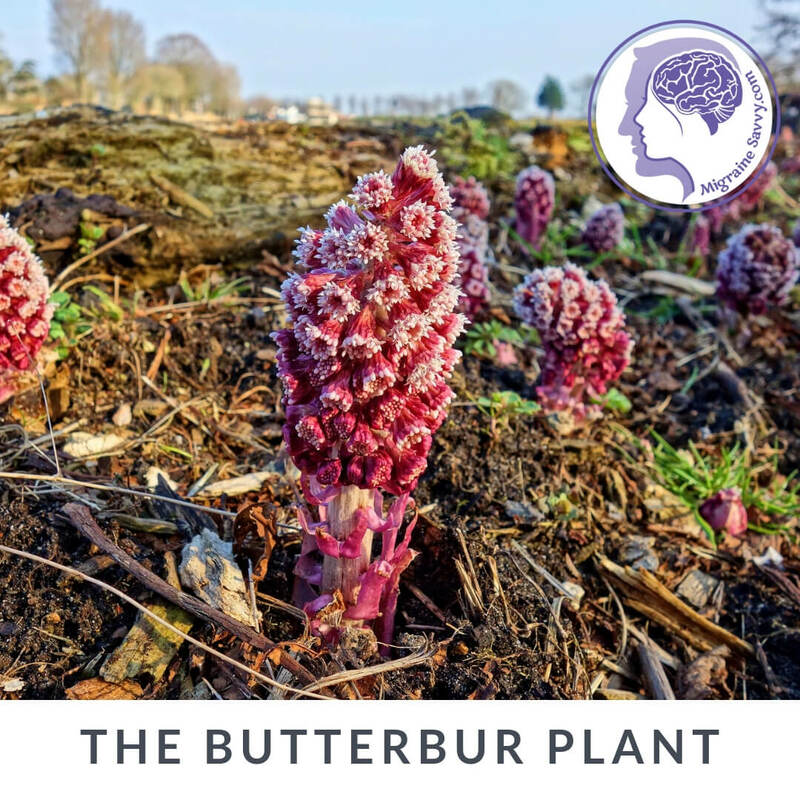 The root extract called Butterbur is the second most common herb prescribed to help combat migraines. It's had good results from studies and research done recently, where over half of the participants experience a reduction in pain level and frequency of occurrence. Most studies are showing an even greater reduction closer to 70% after taking the supplement for 4 months. The maintenance dose is 75 mgs twice per day. You have to be careful with Butterbur, if the extraction isn't done right there can be toxic alkaloids in it. Petadolex is a safe brand. I have to tell you that none of the supplements helped reduce my relentless migraines. But I think they are worth trying, just in case you find a natural solution. I would much rather find more natural migraine home remedies that work over medications. But that's just me. Vitamin B2 aka Riboflavin, is best if taken daily for at least three months before determining its true effectiveness. Studies have had positive results for a small subset of patients. The recommended dose is 200 mgs twice per day. And again, please check with your trusted health professional or doctor before you try this supplement, just to be sure it's safe for you. It might also be important to make sure you have a B-complex or multivitamin as well. Keeping all your B vitamins more balanced is advisable. Taking just one high dose B vitamin alone could upset your delicate balance required. Co-enzyme Q10 is widely used in Europe to treat migraine headaches. Again the studies and research have positive results with reduced number of attacks and less nausea. The recommended dose is 300mgs three times per day. You can always start with less and work your way up to this. Remember to keep track in your diary so you know if things change. Caffeine is a double edged sword for you as a migraine sufferer. It can be a trigger if you are a regular coffee drinker and then go off it cold turkey. The withdrawal headache can cause a full blown migraine attack. If you are not a caffeine junkie, you can have a short black to help abort an attack. I cover this topic thoroughly on caffeine and migraine should you like to read more. And we do some food experiments in my migraine pain management course. Come have a look, it's free to enroll. Biofeedback training is highly recommended by doctors as one of the migraine home remedies to be considered. I've had no success with the temperature monitoring systems but I have with one system. Read about that here - Biofeedback for Migraine Reduction. Although I found it quite challenging at first, (it was hard to slow my mind down) it has been effective in teaching me to meditate and relax on many different levels. For more targeted migraine relief the Cefaly, gammaCore, and TMS devices are available. I've written about them here - Is Electric Migraine Relief Effective? 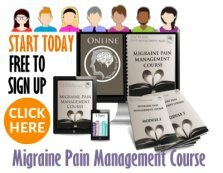 Learning different stress management techniques come highly recommended as migraine home remedies. Yoga, tai chi, meditation for migraines and deep breathing exercises are all proven beneficial ways to reduce migraine occurrences. So this means, if you feel the pain in your back and it travels up to your lower neck and then upper neck, you can get a headache or a migraine. You may or may not be aware that your muscles are involved. It's also really important to strengthen the right muscles. The trapezius muscles in your upper back might be weak and too much time on the computer will be a tell tale sign if pain sets in. Dr. Oz suggests taking analgesics first so you can exercise and strengthen the area. Doing neck and back exercises might only take “five minutes three times a week for ten weeks to reduce the pain by more than 80 percent.” Try these easy headache migraine neck pain relief exercises, just to get you started. All of these help me in some way to cope with this chronic disabling condition. If you liked this article, make sure you join the mailing list and stay in touch with all things migraine!